Individual tax returns for 2017 are due April 17, 2018, however, most active traders aren’t ready to file on time. Some brokers issue corrected 1099Bs right up to the deadline, or even beyond. Many partnerships and S-Corps file extensions by March 15, 2018, and don’t issue Schedule K-1s to investors until after April 17. Many securities traders struggle with accounting for wash sale loss adjustments. The good news is traders don’t have to rush completion of their tax returns by April 17. They should take advantage of a simple one-page automatic extension along with payment of taxes owed to the IRS and state. Most active traders file extensions, and it’s helpful to them on many fronts. Request an automatic six-month extension of time to file individual federal and state income tax returns by Oct. 15, 2018. Form 4868 instructions point out how easy it is to get this automatic extension — no reason is required. It’s an extension of time to file a complete tax return, not an extension of time to pay taxes owed. Estimate and report what you think you owe for 2017 based on your tax information received. “Late Payment Penalty. The late payment penalty is usually ½ of 1% of any tax (other than estimated tax) not paid by April 17, 2018. It is charged for each month or part of a month the tax is unpaid. The maximum penalty is 25%. The late payment penalty won’t be charged if you can show reasonable cause for not paying on time. Attach a statement to your return fully explaining the reason. Don’t attach the statement to Form 4868. You’re considered to have reasonable cause for the period covered by this automatic extension if both of the following requirements have been met. 1. At least 90% of the total tax on your 2017 return is paid on or before the regular due date of your return through withholding, estimated tax payments, or payments made with Form 4868. 2. The remaining balance is paid with your return. Even if you can’t pay what you estimate you owe, make sure to file the automatic extension form on time by April 17, 2018. It should help avoid the late-filing penalty, which is ten times more than the late-payment penalty. So if you can’t pay in full, you should file your tax return or extension and pay as much as you can. An example of late-payment and late-filing penalties: Assume your 2017 tax liability estimate is $50,000. Suppose you file an extension by April 17, 2018, but cannot pay any of your tax balance due. You file your actual tax return on the extended due date of Oct. 15, 2018, with full payment. A late-payment penalty applies because you did not pay 90% of your tax liability on April 17, 2018. The late-payment penalty is $1,500 (six months late x 0.5% per month x $50,000). Some traders view a late-payment penalty like a 6% margin loan. By simply filing the extension on time in the above example, you avoided a late-filing penalty of $11,250 (six months late x 5% per month [25% maximum], less late-payment penalty factor of 2.5% = 22.5%; 22.5% x $50,000 = $11,250). Interest is also charged on taxes paid after April 17, 2018. Traders with 2018 year-to-date trading gains and significant tax liability in the past year should consider making quarterly estimated tax payments this year to avoid underestimated tax penalties. I recommend the following strategy for traders and business owners: Overpay your 2017 tax extension on April 17, 2018, and plan to apply an overpayment credit toward Q1 2018 estimated taxes. Most traders don’t make estimated tax payments until Q3 and or Q4 when they have more precise trading results. Why pay estimated taxes for Q1 and Q2 if you incur substantial trading losses later in the year? It’s a better idea to pay an extra amount for the extension to set yourself up for three good choices: A cushion on 2017 if you underestimated your taxes, an overpayment credit toward 2018 taxes, or a tax refund for 2017 if no 2018 estimated taxes are due. You don’t have to wait until the last few days of the extension period like most wealthy taxpayers. Try to file your tax return in the summer months. I’ve always advised clients to be aggressive but legal with tax-return filings and look conservative with cash (tax money). Impress the IRS with your patience on overpayment credits and demonstrate you’re not hungry and perhaps overly aggressive to generate tax refunds. It’s a wise strategy for traders to apply overpayment credits toward estimated taxes owed on current-year trading income. You want to look like you’re going to be successful in the current tax year. The additional time helps build tax positions like qualification for trader tax status in 2017 and 2018. It may open opportunities for new ideas on tax savings. A rushed return does not. For example, a significant trading gain or loss during the summer of 2018 could affect some decision-making about your 2017 tax return. The extension also pushes back the deadline for paying money into qualified retirement plans including a Solo 401(k), SEP IRA and defined benefit plan. The deadline for 2017 IRA contributions is April 17, 2018. If you did a Roth IRA conversion in 2017, the extension adds six months of time to recharacterize (unwind) the conversion. That may come in handy if the stock market drops in Q2 and Q3 2018. Your accountant can prepare extension forms quickly for a nominal additional cost related to that job. There are no fees from the IRS or state for filing extensions. Be sure to give your accountant tax information received and estimates for missing data. Your accountant begins your tax compliance (preparation) engagement, and he or she cuts it off when seeing a solid draft to use for extension filing purposes. Your accountant will wait for final tax information to arrive after April 17, 2018. Think of the extension as a half-time break. It’s not procrastination; accountants want tax returns finished. 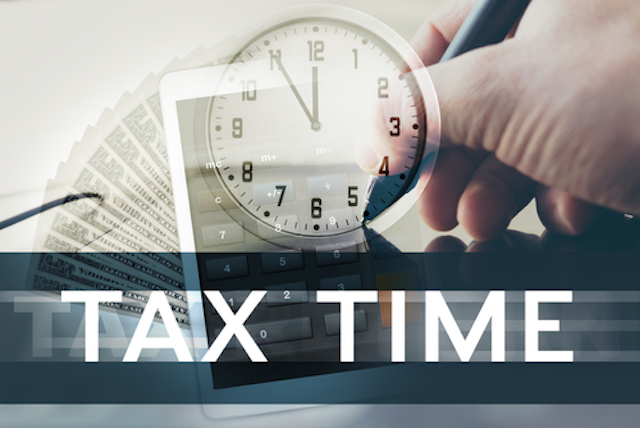 Please don’t overwhelm your tax preparer the last few weeks and days before April 17 with minor details in a rush to file a complete tax return. Accounting firms with high standards of quality have internal deadlines for receiving tax information for completing tax returns. It’s unwise to pressure your accountant, which could lead to mistakes or oversights in a rush to file a complete return at the last minute. That doesn’t serve anyone well. It doesn’t matter if your capital loss is $50,000 or $75,000 at extension time: Either way, you’ll be reporting a capital loss limitation of $3,000 against other income. In this case, don’t get bogged down with trade accounting and reconciliation with Form 1099Bs until after April 17. The capital loss carryover impacts your decision to elect Section 475 MTM for 2018 by April 17, 2018, but an estimate is sufficient. Section 1256 contract traders can rely on the one-page 1099B showing aggregate profit or loss. Forex traders can depend on the broker’s online tax reports. Wash sales don’t apply to Section 1256 contracts and forex. Cryptocurrency traders should use coin trade accounting programs to generate Form 8949. Some states don’t require an automatic extension for overpaid returns; they accept the federal extension. If you owe state taxes, you need to file a state extension with payment. States tend to be less accommodating than the IRS in abating penalties, so it’s usually wise to cover your state taxes first if you’re short on cash. Check the extension rules in your state. Over a year ago, “The Treasury Department’s Financial Crimes Enforcement Network (FinCEN) announced that, to implement the new due date for FinCEN Form 114, Report of Foreign Bank and Financial Accounts (FBAR), of April 15 (April 18 for 2017), it will automatically grant all taxpayers filing the form a six-month extension every year to Oct. 15 (which will be Oct. 16, 2017, because Oct. 15 is a Sunday). FinCEN explained that this six-month extension will be automatic each year and that taxpayers do not have to request extensions,” per Journal of Accountancy. Cryptocurrency (coin) is not currency; the IRS labels it “intangible property.” IRS flow charts for what’s reportable on FBAR and or Form 8938 (Statement of Foreign Financial Assets) indicate that intangible property is not reportable on those forms. Some tax attorneys suggest including cryptocurrency held on foreign coin exchanges on FBAR forms to play it safe. FinCEN officials said they are not expecting to see cryptocurrency (“virtual currency”) reported on FBARs for 2017. If a U.S. resident sells cryptocurrency for currency and holds that currency on a foreign coin exchange, that currency is reportable on FBAR. FinCEN recently raised its significant penalty amounts for failure to file FBAR to keep pace with inflation. This entry was posted in Tax Compliance and tagged tax compliance on March 5, 2018 by Robert Green.